Bow down before me, vermin! 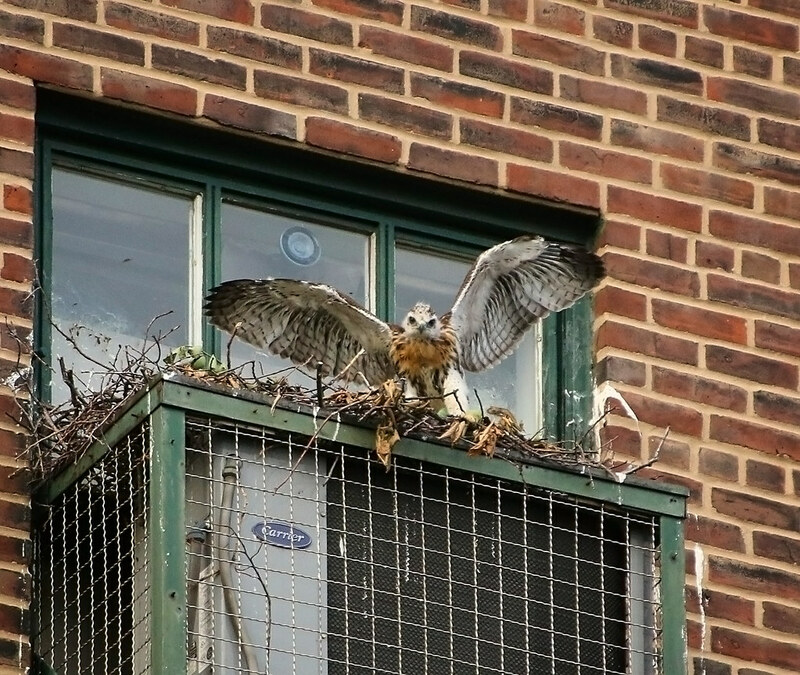 With each passing day, the Tompkins Square hawks seem to age a month. The older two are getting tawny chest color and dark head feathers that look like mohawks (hawk 'hawks!). The youngest is quickly catching up in size, and all three are doing a lot of jumping and flapping on the nest. A lot of people have asked me what will happen when they fledge. I really don't know...I'm hoping they fly out and land either on the rooftops across 9th Street, or in the trees of the park. They'll likely be on the ground, though, so if anyone sees the birds seemingly lost on the ground, it's probably going to be ok. The hawks at Washington Square are a bit older and have already had some adventures. Check out their activity, excellently documented by Roger_Paw. Uptown, at St John the Divine, Morningside Hawks has been following what has to be the most picturesque hawk nest in the city. They, too, have had some excitement over the last few days. Another great resource for seeing what's to come is the Cornell Lab hawk cam. You can see the birds live and chat with volunteers who have done an amazing job answering every possible question and moderating the conversation. I was thrilled to watch one of their hawks fledge this past week and follow it (via the web cam) as it explored the campus. 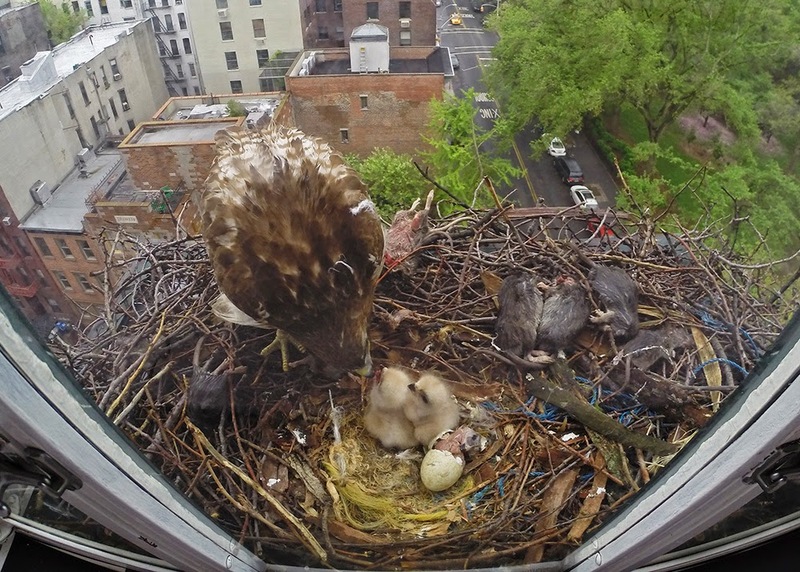 Above photo by Francois Portmann - see more nest cam photos at his website. I watched from the ground for a bit last night. It looked like the oldest was doing a lot of exploratory flapping. Are they fledging yet? Argh. I'm going up to the Clearwater festival!! I'll check your blog for photos...watch vicariously.